For Bostonians who are planning their valentine’s date in advance, our team has a recommendation for you! Renowned for its chocolate buffet, Café Fleuri is definitely our first pick. 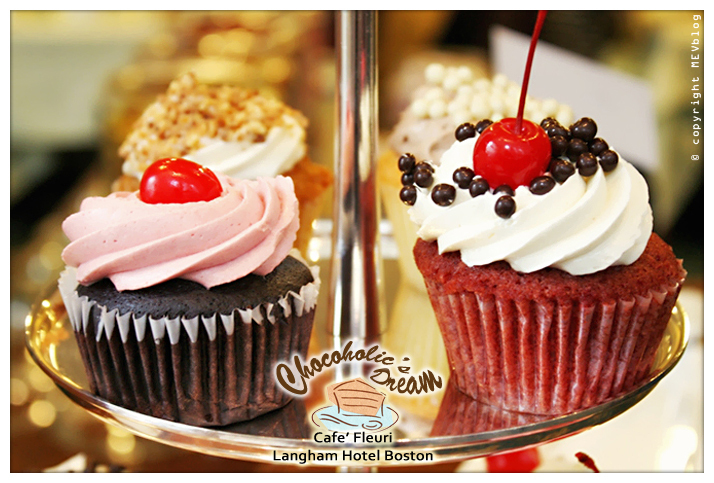 Situated in the Langham hotel, Café Fleuri pleases chocoholics with their assortment of chocolate goodness. From the simple chocolate truffles to the elaborate crepe station featuring myriads of add-ons, made to order by the chef who would wow you with this sassy cooking style. The crepe itself comes in either vanilla or chocolate flavors. Adding ice creams also help elevate this crepe dish to another level. At Café Fleuri, they offer Cold Stone-style ice cream where you can mix in fruits and other sweets to tailor made your ice cream of choice. With rows after rows of mini-size desserts, your decision making ability and restraint are sure to be tested. Many became instant favorites among our team. White Chocolate Strawberry Parfait, with creaminess of white chocolate, works incredibly well with the slightly tangy strawberry jam. Chocolate Bread Pudding is another must-try. Their use of croissant results in the buttery taste of the bread pudding unlike others you find elsewhere. Another success story is the Chocolate Bread Pudding where they use Croissant instead of plain bread, adding the lovely buttery scent and texture to the dish. Yet the star of the place is unquestionably the chocolate fountain which would melt any chocoholics’ hearts. Fresh fruits as well as marshmallows are ready for you to dip away to your heart’s content. As to what to avoid, vegan chocolate mousse and dense chocolate cake were horrendously dry and rigid so don’t try unless you want to break a few teeth. Tips for tackling these huge piles of sweets – Popcorn and Chips are your friend. Although you would tend to save that space for more desserts, switching to these (only two available) savory menus really help you tough through the sweet feast in the long run. Another good tip would be to bring lots of friends so that you can share tiny bits and pieces so you can enjoy greater variety.